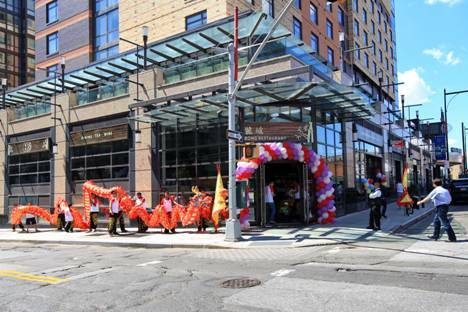 New York City, NY, Nov. 29, 2017 – The Rong Restaurant in the upscale Flushing area of New York has expanded its amenities to include catering and wedding services to its repertoire of offerings. Private rooms are available for wedding-related festivities, ranging from receptions to anniversary parties. Comfortable design, affordable pricing and quiet atmosphere are the benchmarks of the eatery that specializes in serving a collection of Cantonese, Sichuan, Jiangsu and Zhejiang cuisine. Located close to the train station and parking lot at 133-42 39 Ave. the elegant surroundings are conducive to celebrating any of the most important events in life. The Chinese restaurant’s spacious surroundings and tasteful décor provide ample room for larger groups. It’s become a favorite location for commemorating birthdays, family parties, and company events. It’s also a popular stop for tour groups who want to sample authentic Asian cuisine, with vegetarian dishes available. Customers can explore the many selections available online with the digital menu. Diners can choose from offerings that include bamboo in sesame oil sauce, shredded pork or chicken, salt-braised prawns and garlic slice shrimp. Lobster or Shanghai-style crab, eel and sautéed lily bulbs are all on the menu. The Rong Restaurant provides an array of services for the convenience of patrons that includes online ordering, dine-in, takeout, dim sum, catering, drinks, lunch specials and room service for guests at the nearby Hyatt Place hotel. The eatery also offers online coupon specials. An added bonus is that the establishment also delivers within the Flushing, Great Neck, Little Neck, Douglaston and Manhasset area. For orders of $300 or more, delivery is available to Manhattan, West Chester and Hudson in New Jersey. The expansion of services at Rong Restaurant to include catering and weddings provides customers with a unique venue to hold receptions, anniversary dinners and an array of celebrations. The restaurant offers a convenient and elegant location for discerning individuals that want an extraordinary experience. Be the first to comment on "Rong Restaurant Expands to Include Weddings, Parties and Catering"